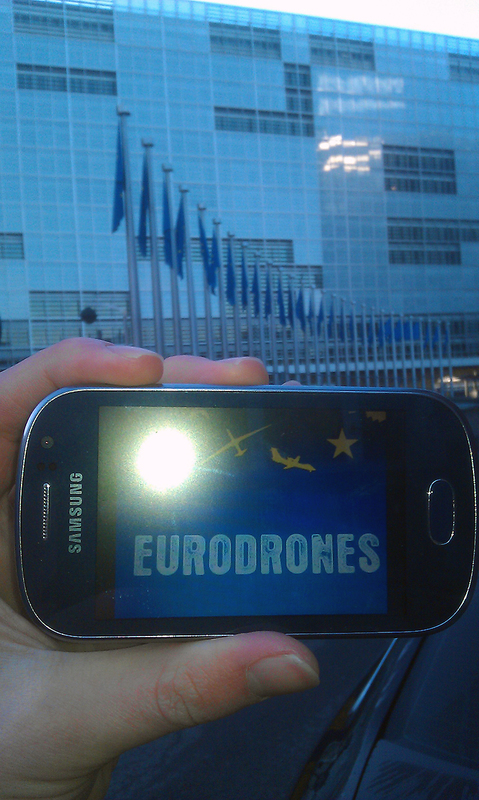 Where is the Democratic Control of EU Drone Policy? Research published today by the Transnational Institute and Statewatch has uncovered European Commission subsidies worth 315 million Euro provided to the defence sector to develop Remotely-Piloted Aircraft Systems (Drones). The approval of this funding was agreed by Heads of Government and the European Parliament in response to European Commission proposals on research funding. Drones have gained notoriety during the post 9/11 era for their use in Afghanistan and Pakistan. It seems puzzling that this kind of defence investment is made at this time of widespread cuts to public services across Europe and of record unemployment, especially among those starting out in their careers. This news comes two months after EU Member State Heads of Government welcomed plans for European drones at the European Union Council in December, making the case for the economic benefits of supporting their defence industries. QCEA believes that economic stimulus should not be focused on preparing for warfare. The next milestone comes on 27 March when the EU’s European Defence Agency will hold its annual conference to review progress against goals set in December 2013. The European Defence Agency (the responsibility of Catherine Ashton, EU High Representative for Foreign Affairs) provides funding for drone development, such as the European Medium Altitude Long Endurance (MALE) drone. European policy makers should want to have a full understanding of what European citizens consider an appropriate use of drones. Many will be undecided and will value a debate. Opinion polls in Germany, France, Spain, Greece and the Czech Republic reveal opposition to drone strikes of between 59 and 90 per cent. However, there are non-military uses for drones which may be more acceptable to Europe’s citizens. QCEA believes that our European institutions should seek to start a public debate by publishing more information about their current plans, what might be considered in the future and what alternatives are available. QCEA understands from the report that none of the usual ‘checks and balances’ were carried out on this funding. Normally, groups including such as the European Group on Ethics, the Committee on Civil Liberties, Justice and Home Affairs of the European Parliament (LIBE), the European Agency for Fundamental Rights and Data Protection Supervisor are consulted. The report argues “the entire process appears to have been designed precisely to avoid any substantive discussion or debate by pre-defining policy objectives and outcomes”. QCEA supports the call by Netherlands-based Transnational Institute and UK-based Statewatch for a European Parliamentary Group on Drones. Such a group of MEPs could examine the use of drones by EU Member State governments for both military and civilian purposes. It is only proper that any technology that could affect human rights and lead to future European military action using automated technology, be scrutinised. Given the speed with which drone technology is being developed, QCEA calls on European institutions and civil society to engage in robust debate on the parameters of the development and use of drones. QCEA does not believe that weaponised drones are the answer to any security challenges currently facing Europe.